Comment: I want to repair my wood fence or replace it. Comment: Our wood fence is constantly having the slats fall off and our dog has already gotten out twice. We also have a gate that is compleletely broken and needs to be replaced. I believe it is around 195 linear feet. We would like someone to come out and give us a quote as soon as possible. Thank you. Comment: I have a wooden fence on the North side of my house that needs repair/replaced along with a drive thru gate. Also have a small section on the South side of my house that I will be interested in having wooden fence installed. 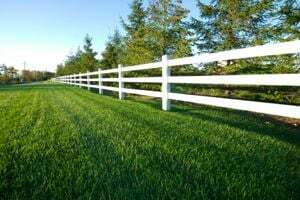 Ridgeland Fence Contractors are rated 4.84 out of 5 based on 84 reviews of 15 pros. Not Looking for Fences Contractors in Ridgeland, MS?